The term “endophytes” usually refers to communities of microorganisms, typically bacteria or fungi, which colonize the internal portion of plants, mainly vascular tissues, interacting with the host in either beneficial or neutral mode. The scientific community customarily classifies endophytes into three main subsets based on facultative, obligate or opportunistic colonization of the host. The benefits of using fungal and bacterial endophytes in plant health are only beginning to be explored, but have become a hot topic in the search for biological control strategies. The bursting of the latest techniques of DNA high-throughput sequencing and the simultaneous development of the most diverse -omics technologies, specially metagenomics, enabled to open the horizon on a world that seems to contain a high level of biodiversity, as it includes hundreds of endophytic species per plant, many of which are unculturable. A large number of research efforts are currently dedicated to the discovery of the mechanisms by which endophytic communities can interact with the plant, to enhance growth and promote, directly or indirectly, protection from pathogens and/or insects. At a time when biocontrol has become a spellbound word, as modern policies seek an alternative and sustainable strategy to the use of traditional phytochemicals and pesticides, endophytes have become one of the most attractive biological agents in IPM programs. - Endophyte recognition and selection by plants. The molecular basis of endophyte-plant compatibility or incompatibility. - Endophyte dynamics and transmission between and within plants, including endophyte spread in nature, seed transmission, movement and stability of endophytes within and between plant tissues. - Metagenomic studies on the role of endophytic communities in plant health and interactions with disease-causing agents. Please note, studies using omics approaches will be considered for review only if they address mechanistic and functional insights into plant endophytes. - Mechanisms behind plant immunity triggered by fungal and bacterial endophytes. - Mechanisms of direct endophytic inhibition of plant pathogens (different from priming immune system), including secondary metabolite release, antibiosis, competition over nutrients and niche. 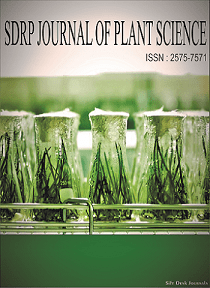 We welcome Original Research and Review articles presenting different methodological approaches and focus areas, with the intention of providing the scientific community with an organic contribution on the many facets of endophytes research, promoting further investigations on this challenging subject.